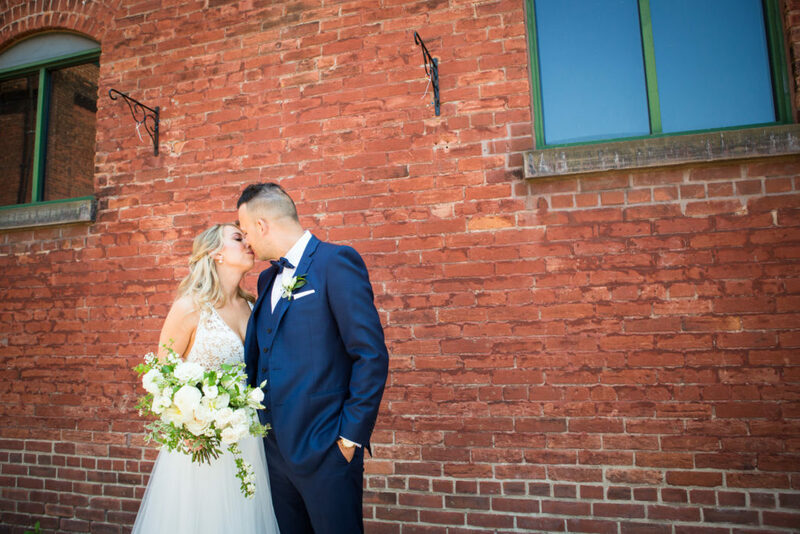 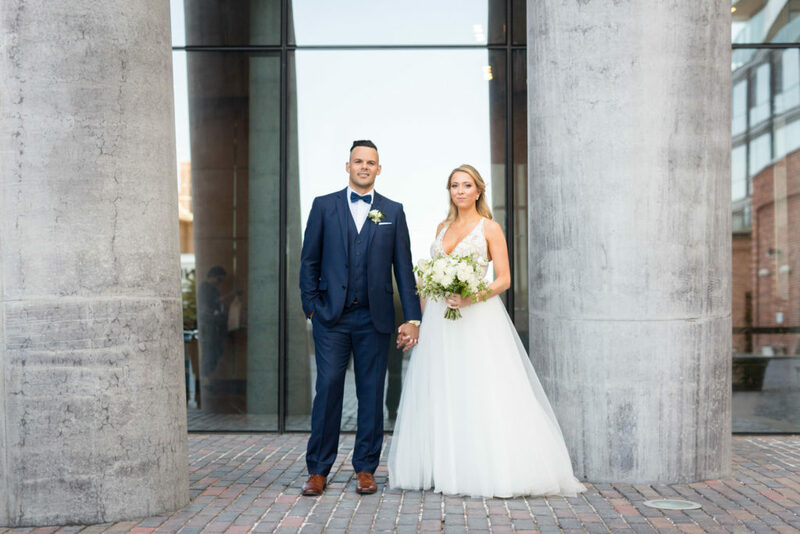 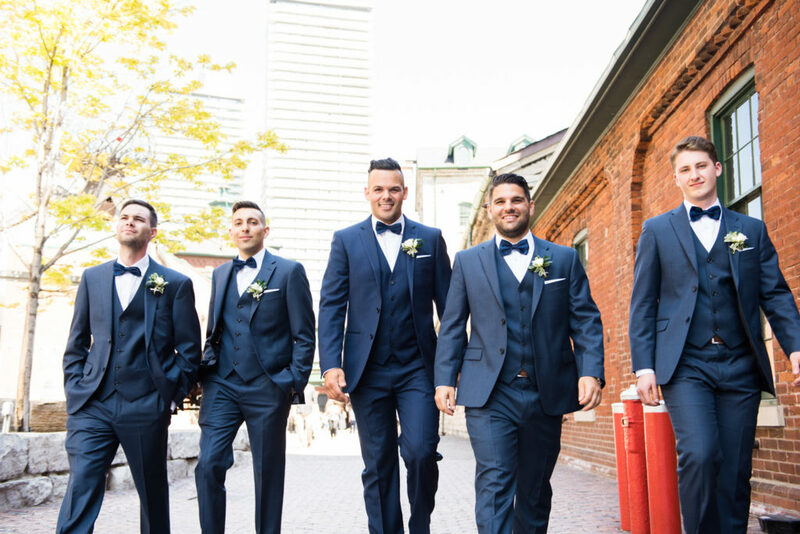 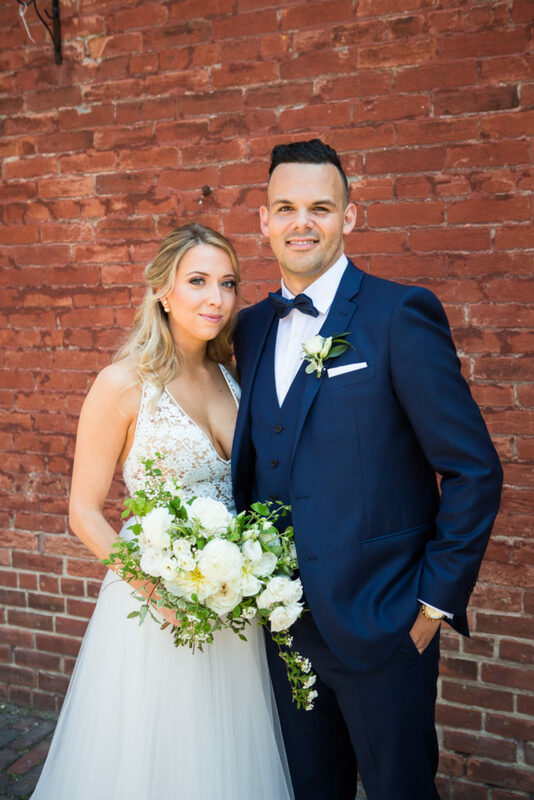 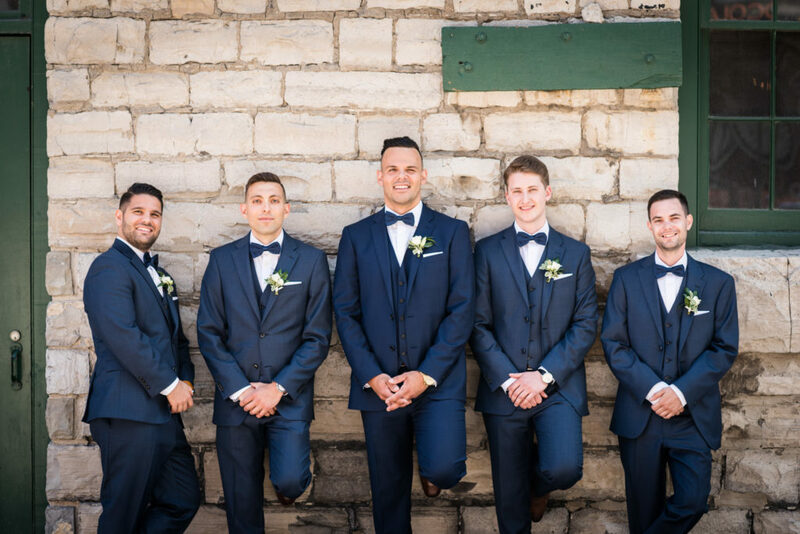 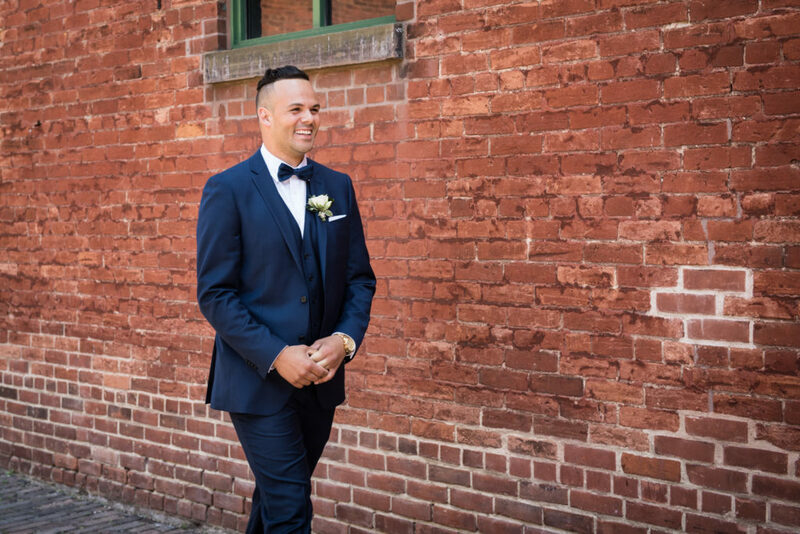 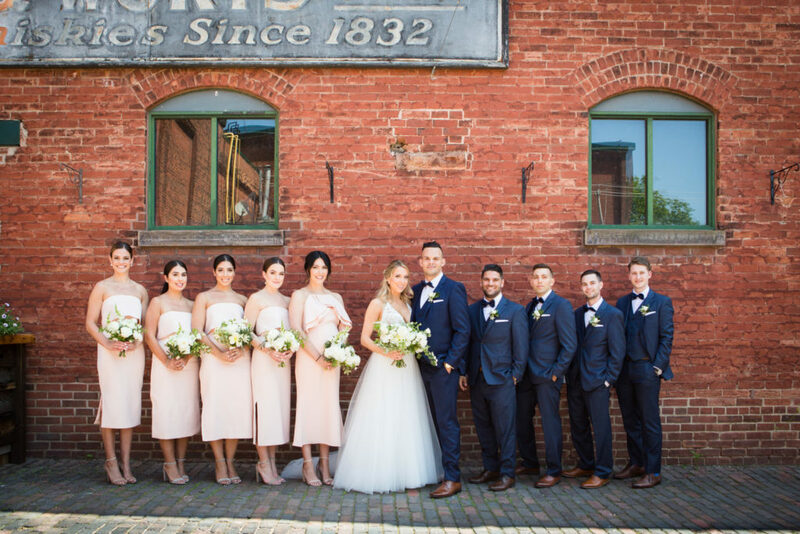 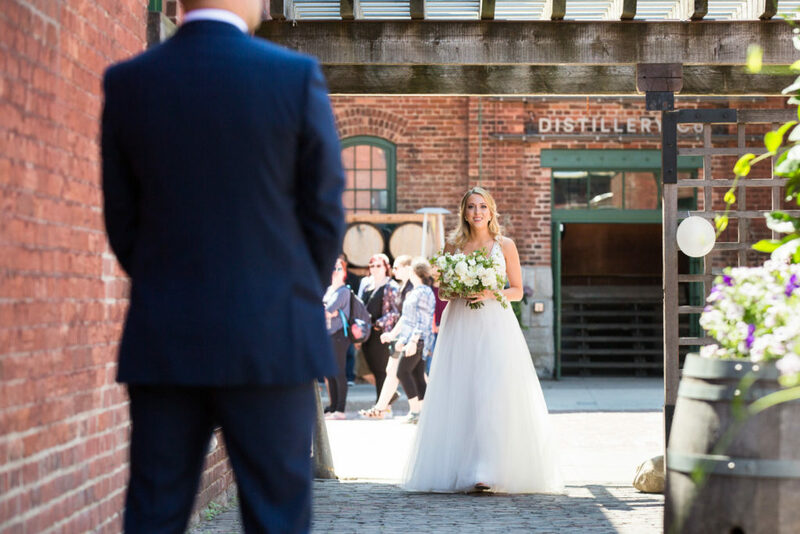 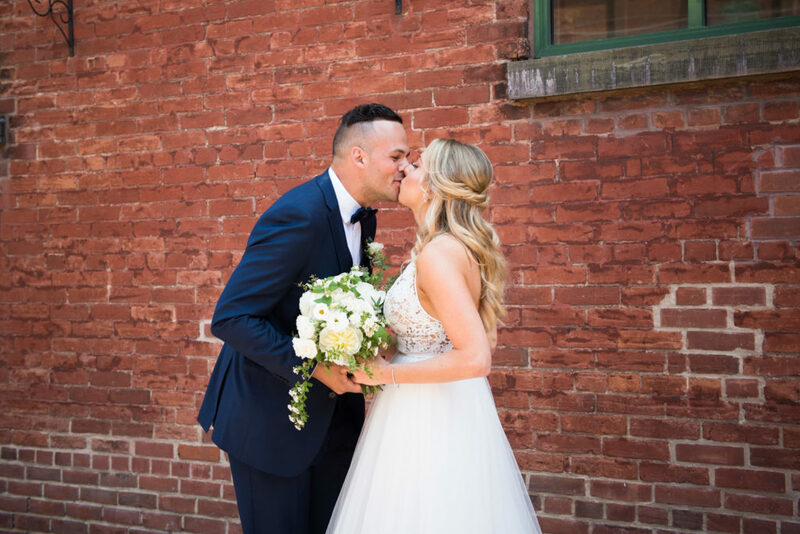 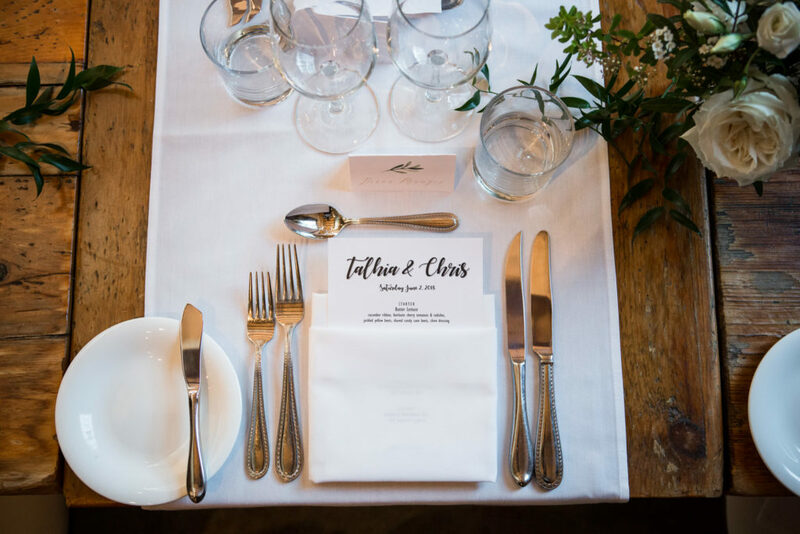 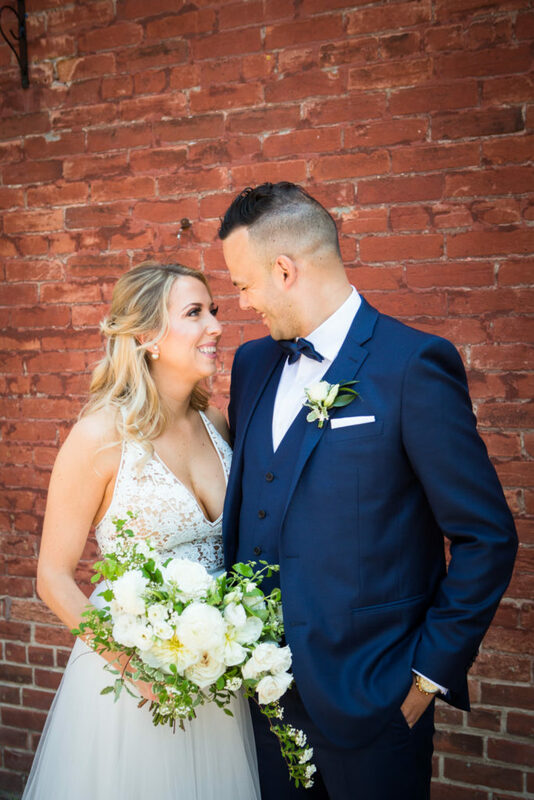 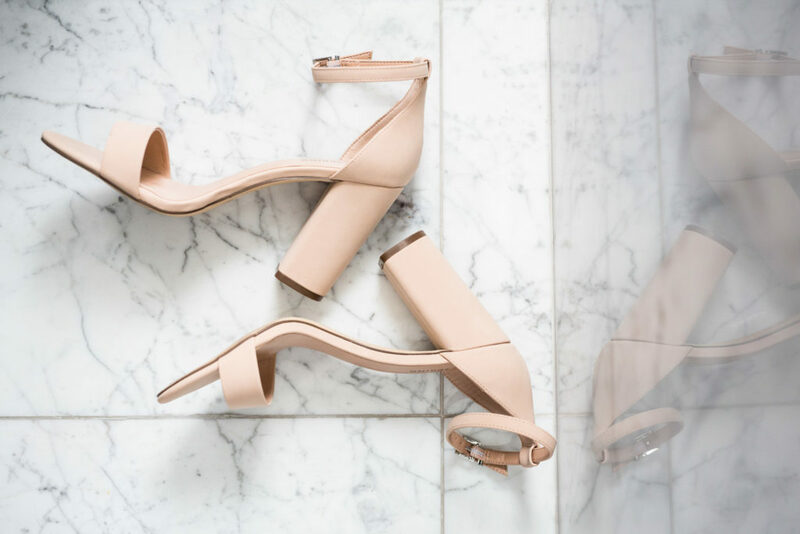 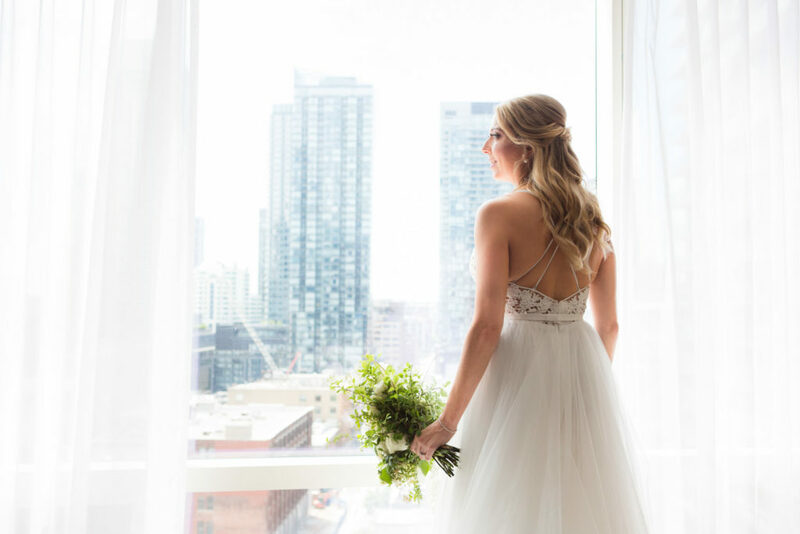 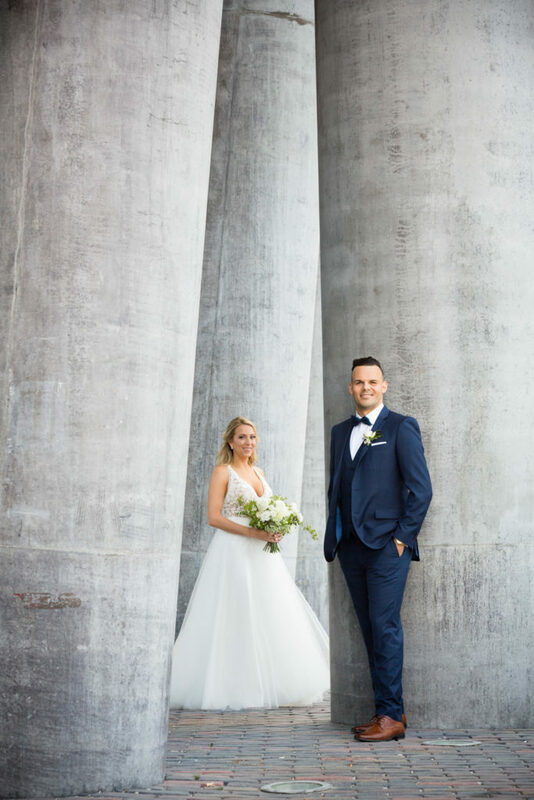 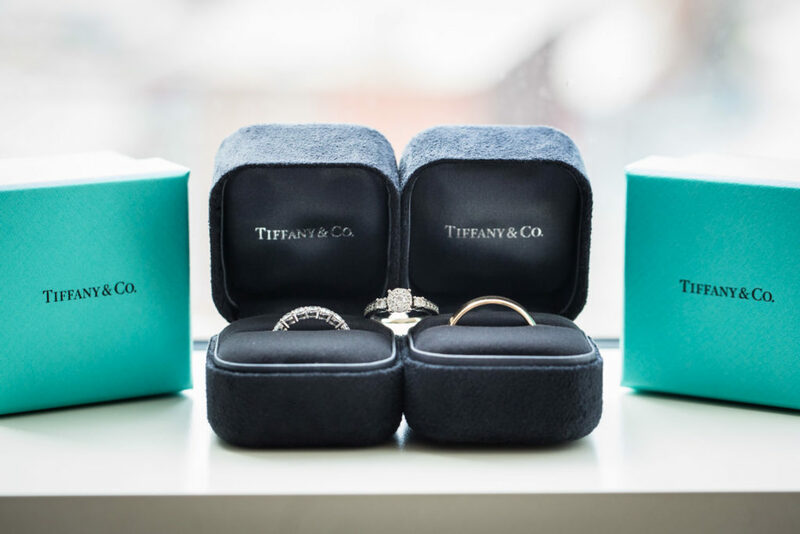 Talhia + Chris got married right at the beginning of June at Archeo in Toronto’s Distillery District. 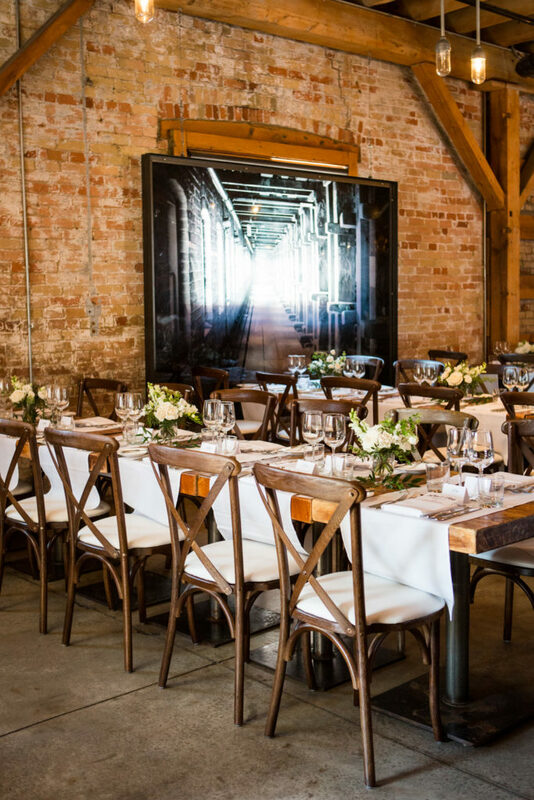 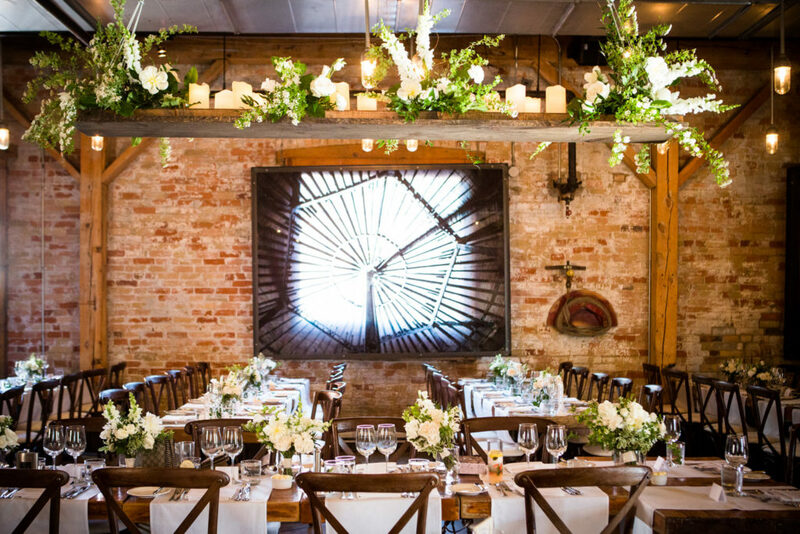 If you love original brick, exposed beams, and warm light then Archeo is the spot. 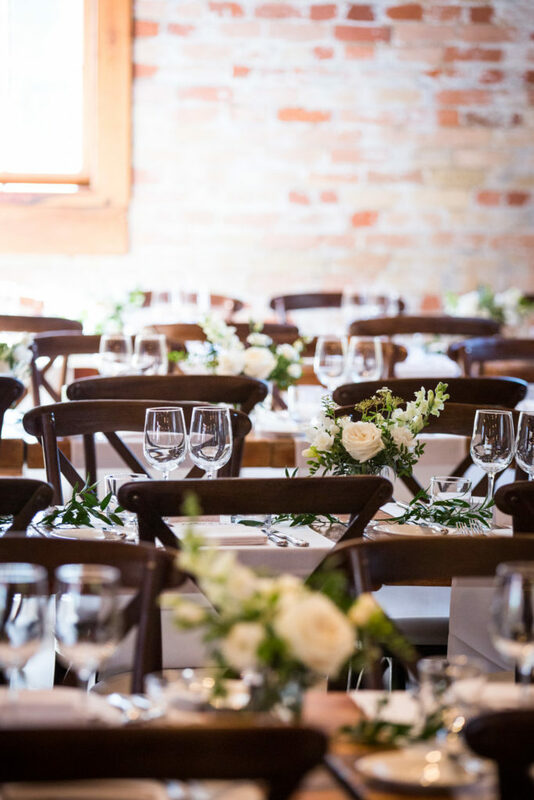 The guest cap for a seated meal is around 120 which keeps the evening cozy and intimate. 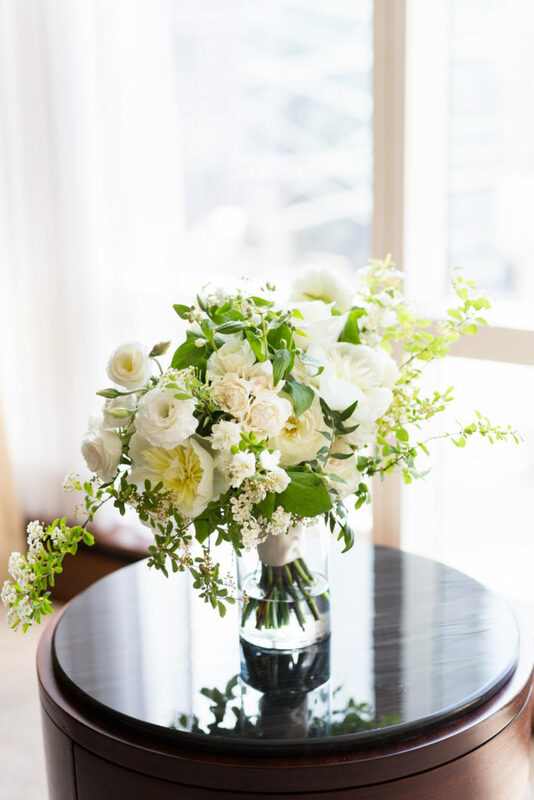 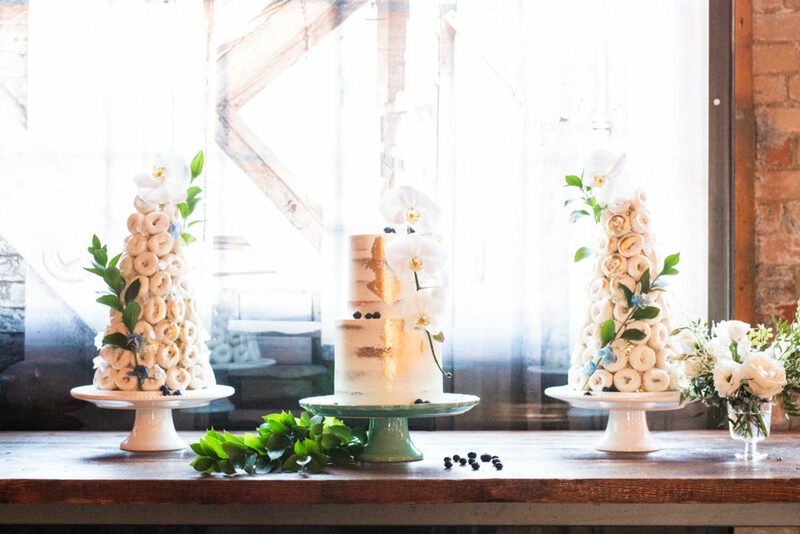 A white and green floral palette with blooms that celebrate the transition from spring to summer were the perfect juxtaposition against the rich, glossy, chocolately wood tables. 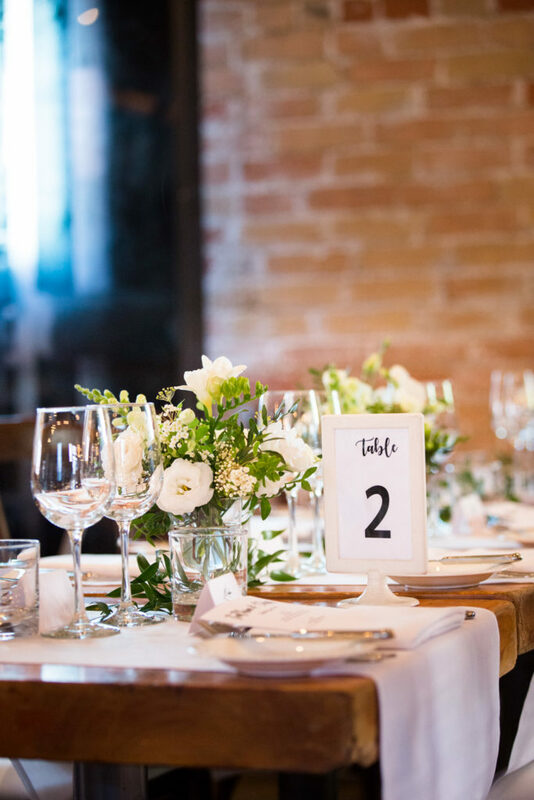 The cute bistro style tables aren’t massive, so I always encourage clients to keep the centrepieces more minimal and focus the florals elsewhere. 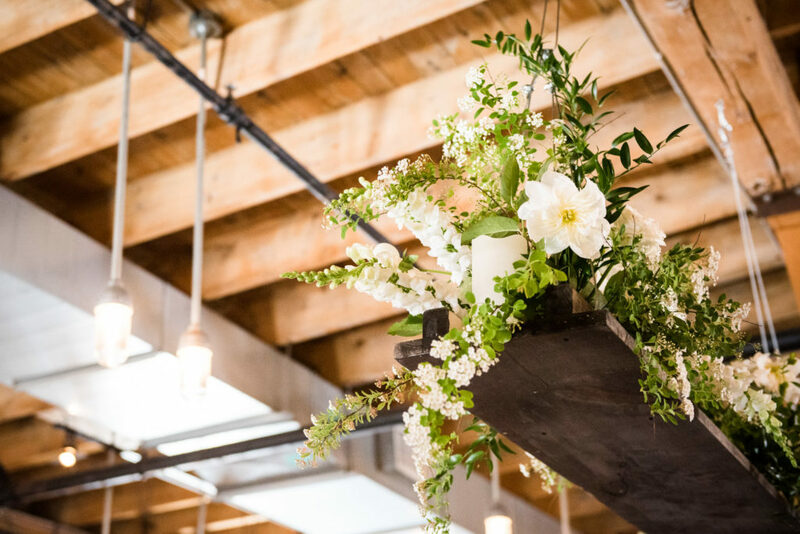 For Talhia + Chris that meant a few petite cocktail-sized arrangements per long table and hanging installation above the head table featuring candles and florals . 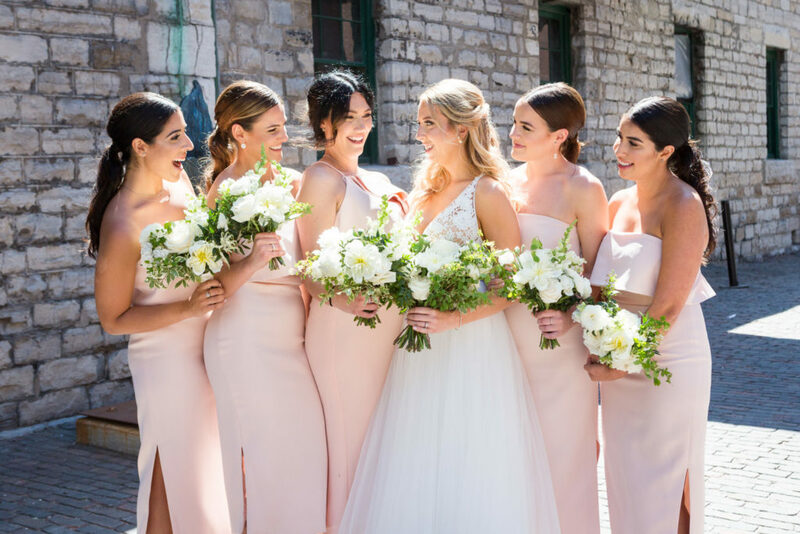 Ikonica expertly captured this day from start to finish – including one of the chicest wedding party’s I’ve seen this year (PS. 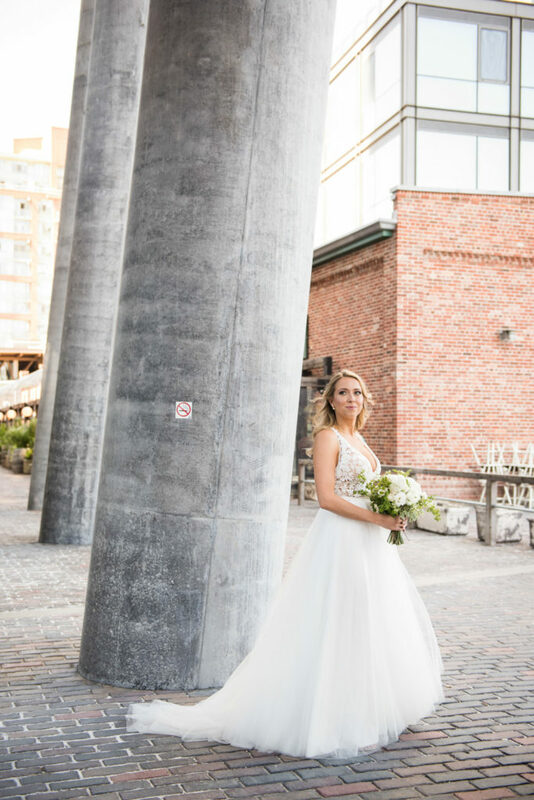 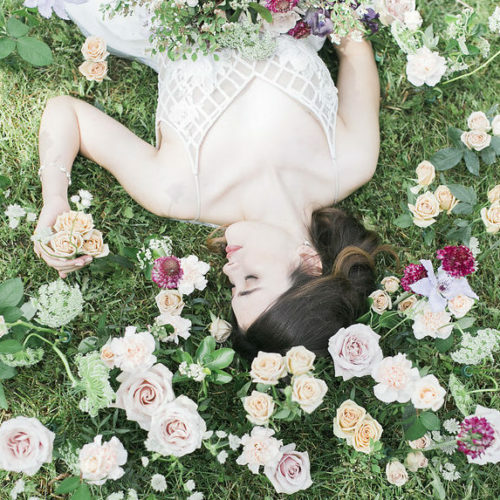 check out Talhia’s mom’s dress… I’m in love) and a little touch of floating garden.